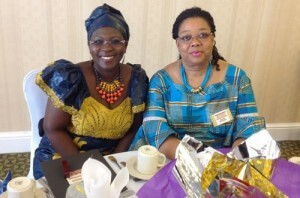 PALMDALE – More than 100 local women from various backgrounds and paths of life came together recently for the inaugural Women’s History Luncheon. The event, aimed at developing a network of positive-thinking women in the Antelope Valley, was held March 22 at the Hilton Garden Inn in Palmdale. The luncheon was a chance to celebrate female leaders in the local community, organizers said. Highlights of the Women’s History Luncheon included motivational speeches by community activist Veronica Fields, Pukuu Cultural Community Services President Sylvia Mendivil Salazar, and others; a fashion show featuring three local designers; and an inspirational song by local vocalist Kendra James. 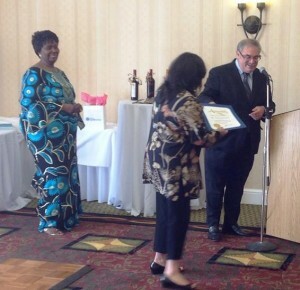 Assemblyman Steve Fox presented commendation certificates to five attendees. Waunette Cullors, Sharon Vega, Habiba Salifu, Fatoumata Diallo, and Zulu were awarded by Assemblyman Fox for going above and beyond in their community as leaders, and for being extraordinary women of character, courage and commitment. “I was surprised by [the award] because what I do I just do for my love of youth in the community and wanting to make a difference,” said Cullors, Director of the Miss Black AV and Miss AV Latina pageants. “The event was really nice, a room filled with women that were happy and joyous, and we networked and laughed. It was nice to celebrate with the other accomplished women in the room,” Cullors continued. All attendees received certificates for making a difference in the Antelope Valley. All attendees received certificates for making a difference in the Antelope Valley. Attendees were also gifted with wonderful prizes to take home, Zulu said. The luncheon was hosted by the High Desert Service Center Council and sponsored by the California Teachers Association. The inaugural event was deemed a success, Zulu said, and organizers are already planning for next year. 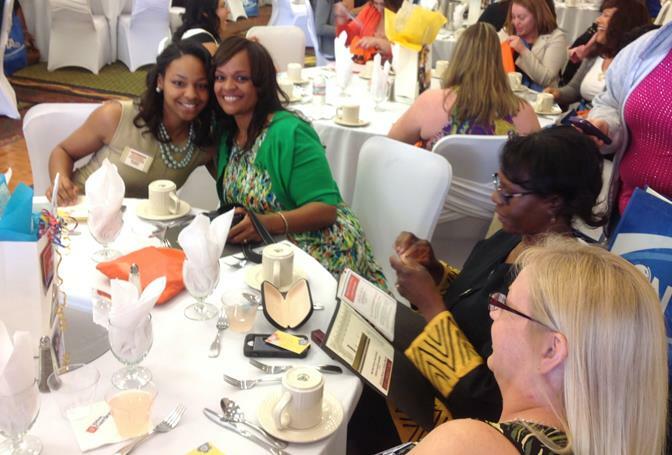 To be added to the mailing list for next year’s Women’s History Luncheon, contact Simone Zulu at 661-492-5944. 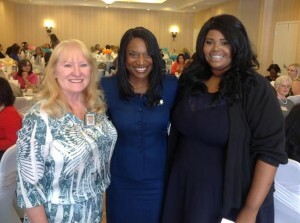 2 comments for "Women’s History Luncheon a success"
great to network and meet new people. It was all about the LADIES!